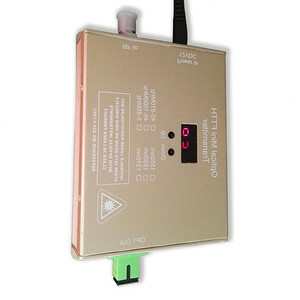 WT-1550-DM-II: on the base of WT-1550-DM-I, add inter-cut function and built-in WDM. WT-1550-DM-III: on the base of WT-1550-DM-I, add VOA Variable Optical Attenuator. 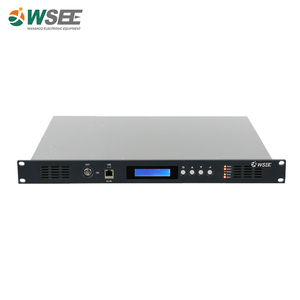 WT-1550-DM-IV: on the base of WT-1550-DM-II, add VOA Variable Optical Attenuator, can adjust the signal optical power intensity by the menu options on the front panel. 3. 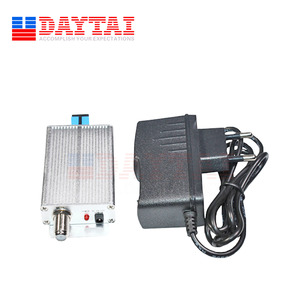 Bulk orders can deliver a certain number of wearing parts, such as power supplies, modules, etc. 4. The damaged products during warranty period, we can provide parts to replace or repair for free. 4. What kind of warranty do you offer9 Our excellent after-sale service team will provide to you with broader service plat form. 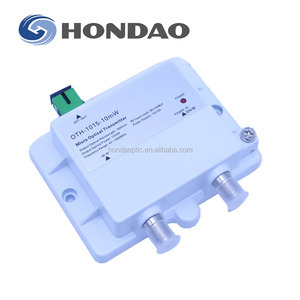 Hangzhou Able Optoelectronic Equipment Co., Ltd.
2. 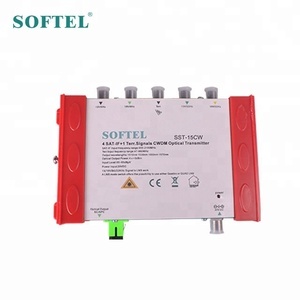 The whole unit light source adopts narrow line noise and continuous wave DFB laser. (3) When you agree on the proforma invoice, you make the payment. (4) We deliver the goods after we receive your payment. 3. Bulk orders can deliver a certain number of wearing parts, such as power supplies, modules, etc. 4. The damaged products : during warranty period, we can provide parts to replace or repair for free. 2. Why should I choose you9 We can offer factory price, good quality, best service and long warranty. 5. 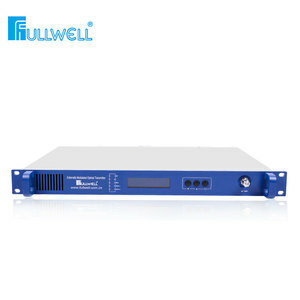 Double modules type: In the 19 "1U standard rack, there are two optical emission modules integrated to save application space. If there is a certain order quantity, we can do OEM including printing, logo, and customized model for you. Moreover, if there is any problem of the goods, we will help to solve the problem or provide replacement of the goods. 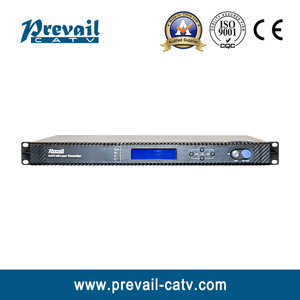 1550nm External Modulation CATV Optical Transmitter Product description 1550nm externally modulated optical transmitter is the core equipment in this system. 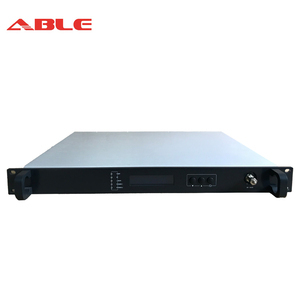 SNP8500AC optical transmitter: Standard type, dual fiber output CATV work wavelength, 1MHz laser line width, SBS 13, 16, 18dBm adjustable, SNMP network management optional. 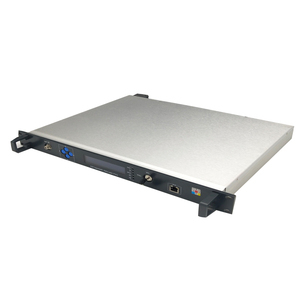 SNP8500AU optical transmitter: Standard type, dual fiber output ITU wavelength adjustable, 1MHz laser line width, SBS 13, 16, 18dBm adjustable, SNMP network management optional. It adopts a series of unique innovation technique to reach the excellent systerm control . Our one stop shop gather thousand of product from the various of dhinese factory as well as a lot of well-know brands . Q:How long is the delivery time for the goods9 A:during 7-25days Q:What is the product used for packing9 A:We always use catron, Unless you have different packing needs . 3. Bulk orders can deliver a certain number of wearing parts, such as power supplies, modules, etc. 4. The damaged products during warranty period, we can provide parts to replace or repair for free. Bulk orders if had provided a certain percentage of free maintenance parts, no warranty. 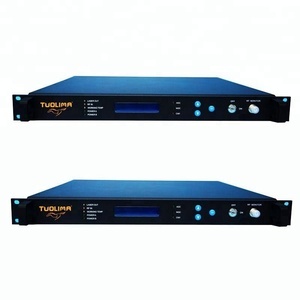 Alibaba.com offers 5,135 1550nm optical transmitter products. About 90% of these are fiber optic equipment, 6% are radio & tv broadcasting equipment, and 1% are laser beauty equipment. 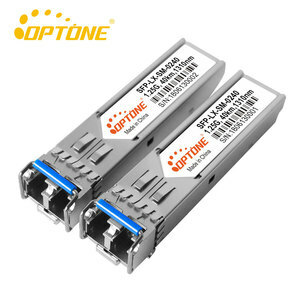 A wide variety of 1550nm optical transmitter options are available to you, such as paid samples, free samples. 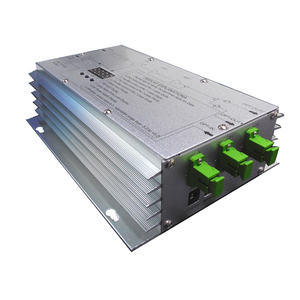 There are 5,140 1550nm optical transmitter suppliers, mainly located in Asia. The top supplying countries are China (Mainland), Taiwan, and India, which supply 99%, 1%, and 1% of 1550nm optical transmitter respectively. 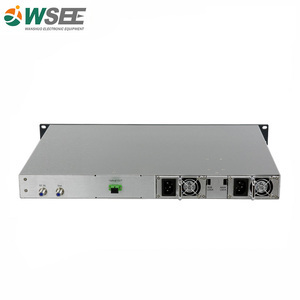 550nm optical transmitter products are most popular in Domestic Market, South America, and South Asia. You can ensure product safety by selecting from certified suppliers, including 2,597 with ISO9001, 918 with Other, and 75 with ISO14001 certification.